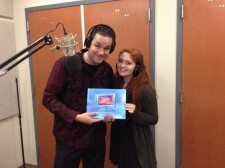 Check out Justine Danielle Del Monte and Brandon Chappell’s newest hit! As with past releases, another important issue facing today’s children is solved by acts of kindness, love and responsibility. Perhaps one of the fastest growing problems that the youth is almost sure to encounter, whether directly or indirectly, is cyber bullying. 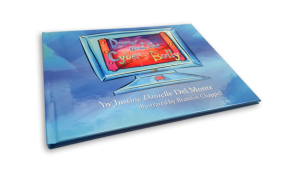 The engaging, dynamic and colorful presentation found within Drew and the Cyber Bully is the perfect outlet to introduce your young one to the potential struggle he or she may encounter if exploring social media. Morals and rising above – not stooping down to another level – is so hard for a mind just beginning to tackle right and wrong. God gives us that choice, and often it is the hardest choice that is the right one. Once again a friendly way to approach sin and conquer fear is gifted to you. Justine and Brandon are always able to put today’s issues in the context of kindness and morals that our Lord prayed for us to emanate and to live by. Perfect for those early school year kiddos (while I am sure my 6 month old enjoyed it, he was more interested in munching on the smartphone we were watching it on). Extremely colorful and flows beautifully. The art and story-line are perfectly made for one another, with a very unique style that jumps out at you with confidence and joy. The catchy design will surely engage your child and portray the lesson embedded within it. This is the third book I have had the honor of reviewing for the Drew installments. Each time I am left with a lasting impression. I was impressed by the ability to turn a topic that is such a sensitive issue in today’s world into something engaging, illustrating that there doesn’t need to be that elephant in the room any longer. I had the chance to view it as a very short and to the point animated video, and the content is appropriately narrated and suitable for all. Thanks to the authors for using their creativity to soothe and teach our children. God gives us our skills and talents and blessed be those who find it within to use them for good. For more information, see the press release at Newswire or visit the author’s website at Drew’s Books.